Mr. Editor:—Your correspondent, N.B.S., has so decisively given a quietus to the question as to the birthplace of Cotton Mather, that there is no danger of its ever being revived again. But there is another question of equal importance to many, to the literary world in particular, which should in like manner be put to rest. Who was Mother Goose? and when were her melodies first given to the world? These are questions which have been often asked, but have never been satisfactorily answered. The recent publication of a book called “Mother Goose for Old Folks” has again revived these questions, which serves to show that the subject has not yet lost its interest. 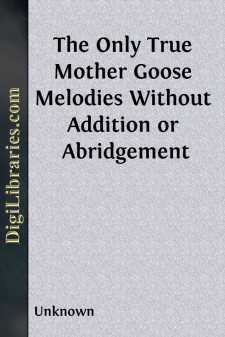 Many persons imagine that Mother Goose is a myth,—that no such person ever existed. This is a mistake. Mother Goose was not only a veritable personage, but was born and resided many years in Boston, where many of her descendants may now be found. The last that bore the ancient paternal cognomen died about the year 1807, and was buried in the Old Granary Burying Ground, where probably lie the remains of the whole blood, if we may judge from the numerous grave-stones which mark their resting place. The family originated in England, but at what time they came to this country is unknown,—but probably about the year 1656. This was the “Wealthy family of Goose” which is immortalized by Mr. Bowditch in his book of Suffolk Names, who at the same time has immortalized himself. They were landholders in Boston, so early as 1660. Nearly half the space between West and Winter streets, on Washington street, and extending westerly towards Tremont street, 275 feet belonged to this family, as did also a large tract of land on Essex, Rowe and Bedford streets, upon which now stand two churches and a large number of dwelling houses. So much for Mother Goose. Now for her melodies. It is well known to antiquarians that more than two hundred years ago there was a small book in circulation in London bearing the name of “Rhymes for the nursery; or Lulla-Byes for Children,” which contained many of the identical pieces which have been handed down to us and now form part of the “Mother Goose’s Melodies” of the present day. It contained also other pieces much more silly, if possible, and some that the American types of the present day would refuse to give off an impression. The “cuts” or illustrations thereof were of the coarsest description. The first book of the kind known to be printed in this country bears the title of “Songs for the Nursery; or, Mother Goose’s Melodies for Children.” Something probably intended to represent a goose with a very long neck and mouth wide open, covered a large part of the title page, at the bottom of which, Printed by T. Fleet, at his printing house, Pudding lane, 1719. Price, two coppers. Several pages were missing, so that the whole number could not be ascertained.